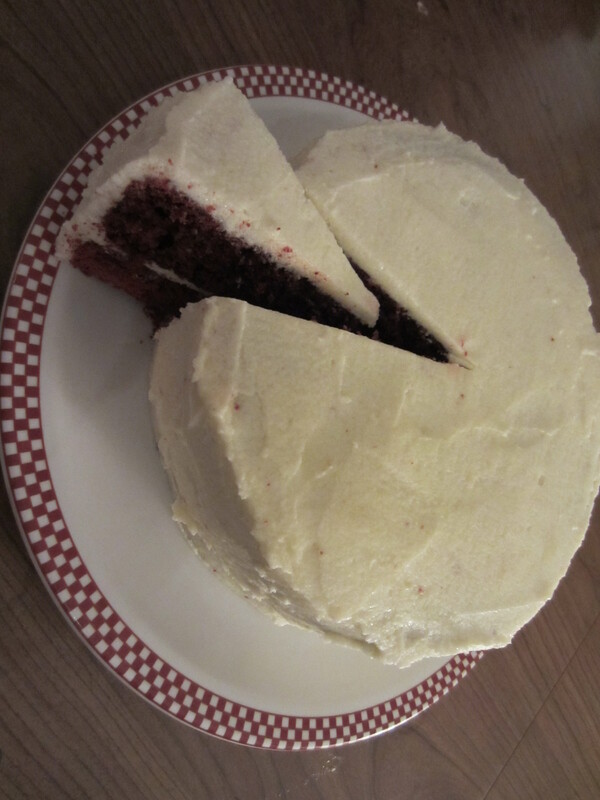 Yes, a Red Velvet Cake is a chocolate cake, a butter velvet cake recipe that results in a finely textured crumb, incorporating cocoa for a light, chocolately flavor. 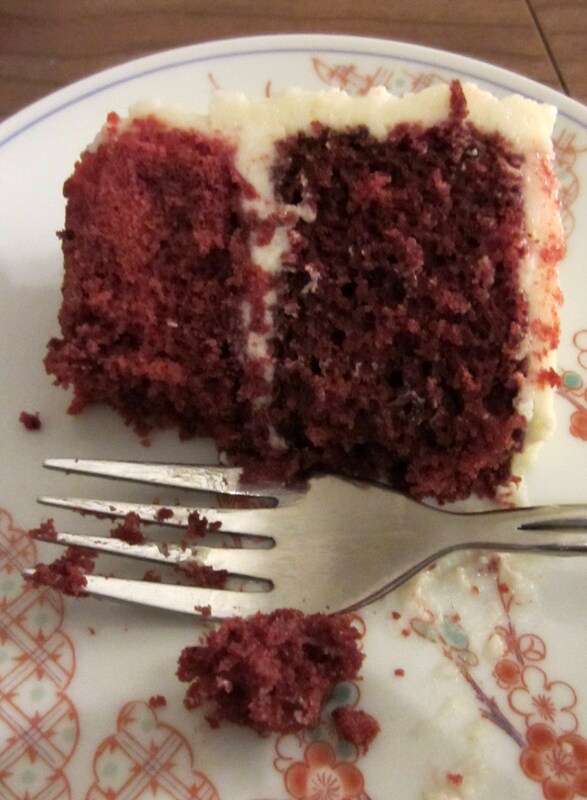 No, a Red Velvet Cake does not have to be neon red in color. The reaction between buttermilk, vinegar and cocoa in the original recipes gave the cake a reddish-brown tinge, and subsequent recipes began to add red food coloring to emphasize the idea of a devil’s food cake. But newer recipes have bumped up the food coloring to absurd amounts, with some calling for an entire bottle of red color. Who really wants to consume that much food coloring? 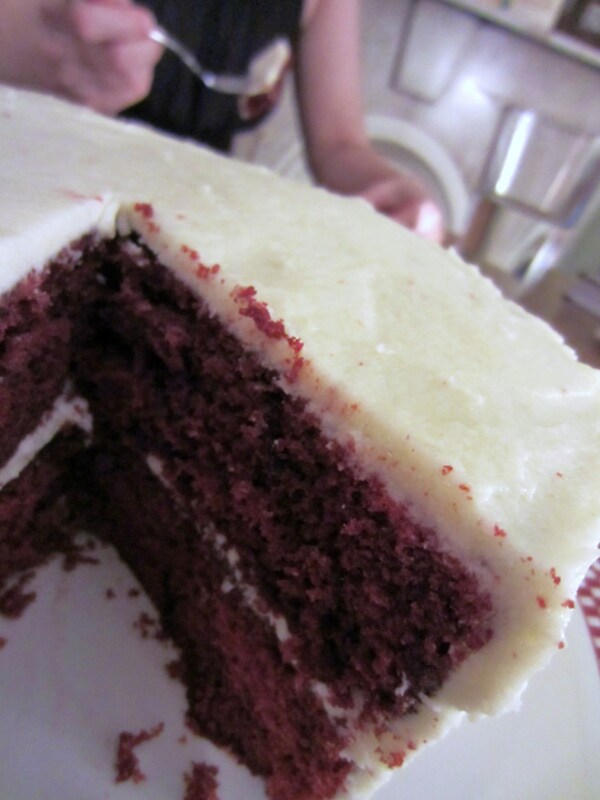 No, a Red Velvet Cake does not always have cream cheese frosting. Original recipes call for an unusual cooked, French butter roux icing, called ermine icing, that isn’t very sweet. It mimics the lightness of whipped cream, but holds up better without refrigeration, and provides a lovely counterpoint to the chocolate cake. Yes, cream cheese frosting is an option. But to my point of view, it’s a heavy-handed topping. Do give the ermine icing a try. More than one of those tasting the old-fashioned version after that blood-red commercial cupcake were convinced that they’d eaten cream cheese frosting. We feel better too, having launched this salvo into the cupcake war.